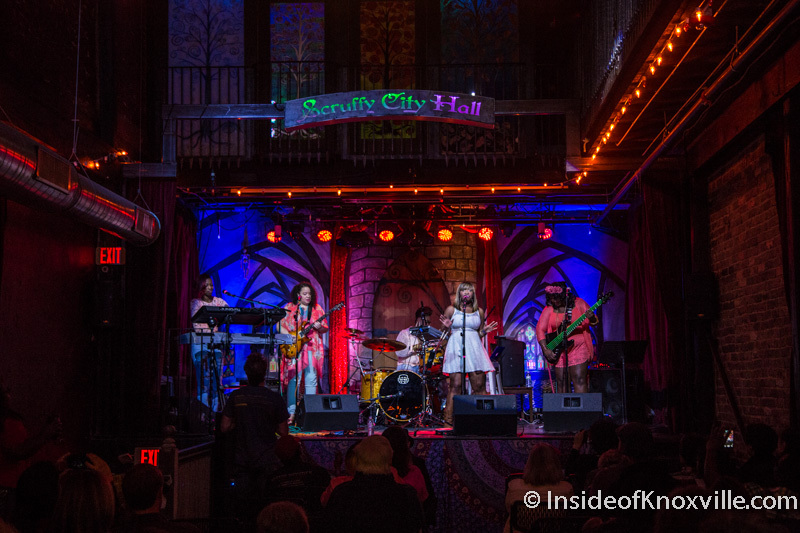 WJJF is a 2 day music festival celebrating women in jazz in Knoxville, Tennessee, with performances by locally and nationally performing artists and youth. Kelle Jolly’s Women in Jazz Jam Festival returns for its fourth year in Knoxville. The festival kicks off on FRIDAY, MARCH 15. On Friday evening, the festival officially opens when the Women in Jazz Jam Festival Band returns to the Knoxville Museum of Art’s Alive After Five Concert Series with a performance at 6 p.m. Admission for the show is $15 for adults, $10 for students or members and children under 17 are free. All tickets are sold at the door. On Saturday, the Women in Jazz Jam Festival will be held at the Knoxville Center Mall, in a ground floor suite, across from the mall security office. Student performances by the Desperate Times Clarinet Jazz Combo and Flutopia (A Very Jazzy Flute Ensemble) will begin at 12:00pm. Led by Lynn Gorbski, these two groups consist of students from West View and Lincoln Heights Middle Schools in Hamblen County. At 1:00pm , UT student, Anna Helms will perform with her ensemble and then lead a jam session. The invitation to play at the jam session is open to all musicians. A “Women in Music Gathering” networking event will begin at 2:00pm. Women who perform or work in any genre of music are encouraged to attend. Bring promotional material to share. Discussions will be led by organizers of the festival. Bring your instrument for a jam session. Performances will start back at 4:00pm with local songstress, Jeanine Fuller. At 5:00pm, pianist, vocalist and composer Amy K. Bormet will perform. She is the founder and Executive Director of the Washington Women in Jazz Festival. Ms. Bormet just released her new album, AmyAna. All events on Saturday are free. Festival t-shirts will also be available at all events. Festival Sponsors include Visit Knoxville, Nolpix Media, and the Appalachian Community Fund.